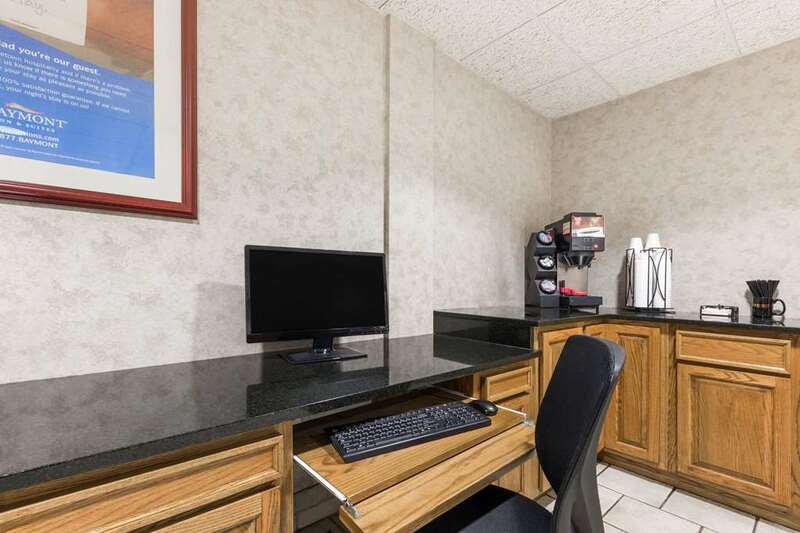 Enjoy the hometown hospitality at this Baymont Inn and Suites Des Moines Airport, minutes from Des Moines International Airport and close to major interstates, Willow Creek Golf Course, Drake University and downtown Des Moines. Smoking is not allowed at this lodging, which offers complimentary wireless Internet and complimentary breakfast. Refresh your wardrobe with laundry services, work out in the exercise center and relax in the heated indoor pool, hot tub, dry sauna and game room. For all your business and event needs this hotel offers extensive meeting and event facilities, including ballroom, banquet facilities and conference rooms. A shuttle is available and there is complimentary parking for all vehicles. Select rooms feature microwave and refrigerator, ideal for longer stays, and there is no charge for kids through age 17 when accompanied by adults.